A new Masters of the Chapter style box set has been confirmed for Space Marine players, as part of the July Apocalypse release. 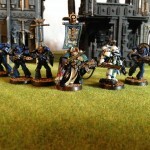 9th Company – Devastator Reserve Company Captain, armed with combi plasma, wearing MkV armour. Each of the Captains is posed as if ordering troops. I imagine we will see a lot of conversion work based on these models. It’s nice to see some more head tilts to the old power armour suits. 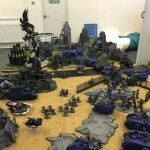 ChapterMasters is not able to post pictures from White Dwarf before it’s release. 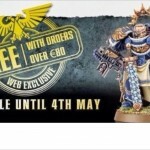 The other main 40k websites are posting links to them. 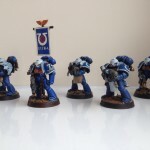 This entry was posted in News, Space Marines, Ultramarines. Bookmark the permalink.